Radix sort was developed for sorting large integers, but it treats an integer as a string of digits, so it is really a string sorting algorithm. Radix sort is a non-comparative sorting algorithm that sorts data with keys by grouping keys by the individual digits which share the same significant position and value. 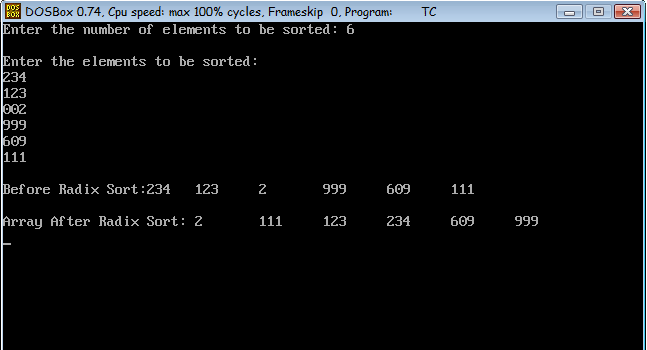 Radix Sort arranges the elements in order by comparing the digits of the numbers. LSD radix sorts process the integer representations starting from the least significant digit and move the processing towards the most significant digit. MSD radix sort starts processing the keys from the most significant digit, leftmost digit, to the least significant digit, rightmost digit. This sequence is opposite that of least significant digit (LSD) radix sorts.